In Hollywood Babylon (2x18), Sam wears this shirt after the first real death (death by hanging) until the second death (death by giant fan). In A Very Supernatural Christmas (3x08), Sam wears it when researching at the motel, when he puts forth the idea of Evil Santa – he then wears it to the ramshackle Christmas market and the confrontation with the decidedly not evil drunken Santa. In Are You There God? 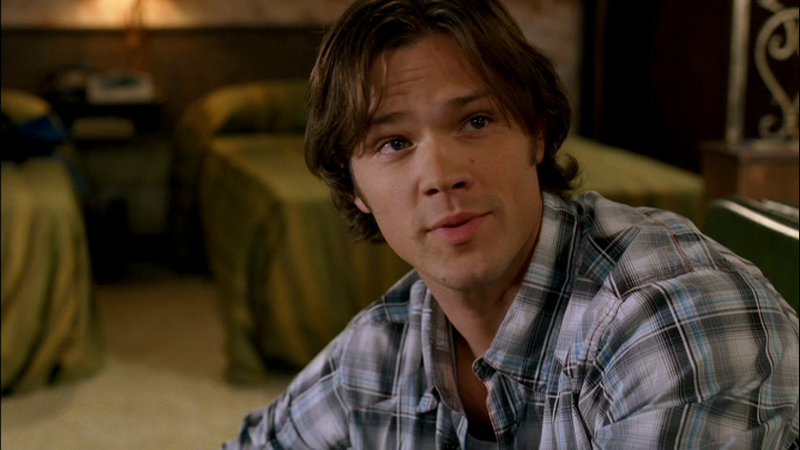 It’s Me, Dean Winchester (4x02), Sam puts on this shirt after he wakes up at the end of the episode. In After School Special (4x13), Sam wears it when they go to burn Barry’s bones. In Dark Side of the Moon (5x16), Sam wears it when they enter his memory of his place and his dog in Flagstaff, Arizona, from when he was mostly likely a teenager. He keeps it on even after they leave that particular memory and ends up wearing it in heaven until he is resurrected on earth. 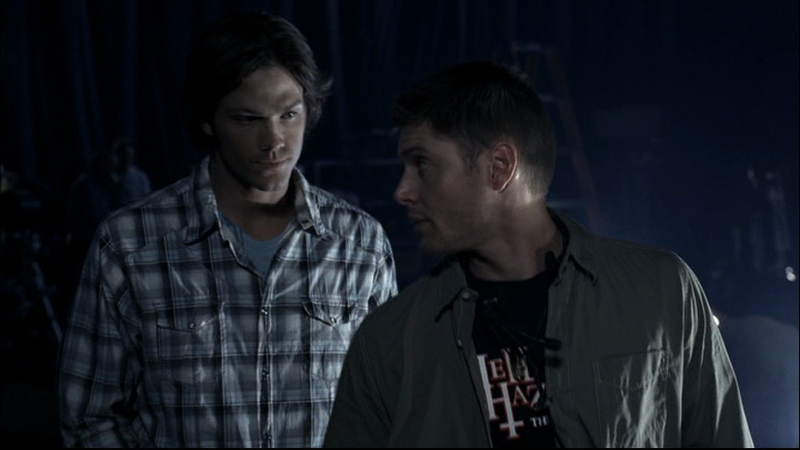 In Slash Fiction (7x06), Sam wears this shirt in the very last scene, when he and Dean fight and Sam leaves.